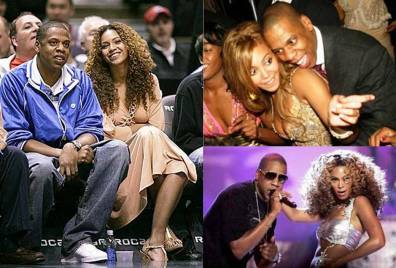 It was reported earlier in the week that the upcoming birthday bash for Jay-Z given by girlfriend Beyonce Knowles, is also going to be their wedding. Backing a statement by a rep for Beyonce denying the rumors, a spokeswoman for Jay-Z said that she had no knowledge of such a wedding. I’m not sure I believe the reps. So many Hollywood couples plan secret weddings then deny them, then have them anyway. Beyonce Knowles and Jay-Z have been so private about the relationship the whole time they have been together, so why on earth would they all of a sudden go super public and admit they’re getting married? Good luck to them if they are getting married. If they’re not, I’m sure there will soon be another secret wedding to talk about. Jay-Z is worth a reported $182.1 million. He was a high school friend of the Notorious B.I.G. In 2004, R. Kelly sued Jay-Z for $75 million after he was kicked off their tour. In 2005, Jay-Z lost his nephew in a car crash. He was driving a Chrysler 300 given to him by Jay-Z for a graduation present. Jay-Z is part-majority owner of the NBA team New Jersey Nets. previous post: Attention Eddie Murphy! Melanie Brown Says You Are Her Baby’s Daddy! 51 queries in 0.746 seconds.